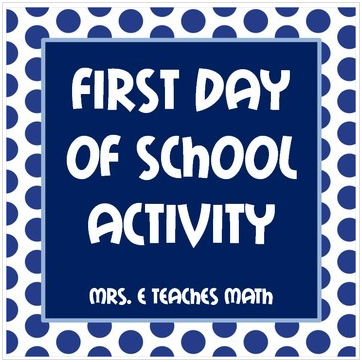 This is a worksheet to get to know your students on the first day of school. Students are asked questions like "What is your favorite breakfast food?" and must answer the questions using mathematical expressions. I use this as a warm up before I'm ready to start class. It could be adapted for use in any level math class. You can read about how I used this activity in my classroom on my blog.